The end may set up for another beginning, but sometimes it is just better for a story to finally be wrapped up. American Horror Story struggled with too many ideas and not enough commitment, resulting in a finale that was a highlight because it wrapped itself up, allowing the audience to move on once more. 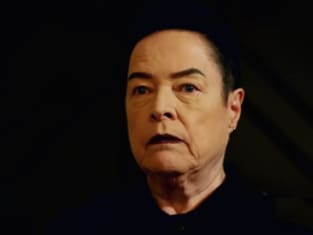 During American Horror Story Season 8 Episode 10, the witches prepare for the apocalypse in the hopes that Mallory will later be strong enough to reverse Michael's control over the future of the planet. This is all set up perfectly, with almost everyone ending up as a sacrifice for the greater good. Mallory ends up traveling back in time and killing Michael before he could become the Antichrist. But then, flashforwards show Timothy and Emily meeting in the future and starting a family. Their son starts to embody the evil that Michael possessed in a directly paralleled scene where they find the many murdered. It is then that Mead shows up with the other followers looking to support the next sequence of events that will lead to the end of the world once more. "Apocalypse Then," written by Ryan Murphy and Brad Falchuk was an attempt to dig the show out of a very familiar hole, the one that has too many ambitious ideas and not a strong enough full formed plot to be able to execute everything. The last few episodes were staggering under the weight of too much filler and not enough necessary focus on storylines that would move things forward. Getting stuck in the past has never gotten so tedious, and the finale paid the price for that because it didn't hold as much intrigue as it was obviously trying to. As mentioned before, the weaker portion of the story fell into the hands of the witches trying to stop the end of the world. They had a lack of sense working against them, as well as the fact that we all knew their attempts would be useless. This is where being shown the end of the story doesn't help when you revisit the middle. If the leadup to the apocalypse was going to be explored, this season was definitive proof of it being included in the beginning. Moving around between the past and the future felt weak the closer that the finale approached. The past clearly had more answers than we were first led to believe, so using a chronological approach might have benefitted the middle of the season more. Instead, it was interwoven with a predictable ending, forcing it to drag on with different ideas of the week that were never going to do much good. The only upside was that it was focused on familiar and favorable characters, it made it harder to struggle when the story followed those characters that meant a lot to fans of the series as a whole. 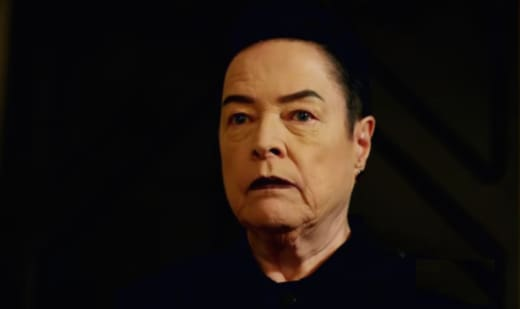 Getting to see where their stories ended up and what their future became after American Horror Story Season 3 wrapped was a pleasant surprise, but once again it may be the reason that the current season struggled. In an attempt to explore the storyline and keeping the audience hooked with familiar faces, it instead ended up doing the exact opposite. The plot suffered and the characters themselves left their assumed endgame. People like Madison thrived because they were icons to the show in their own right. Walking it back so she could somehow develop emotion for others, or spending too much time with Cordelia trying to figure a way out of this mess was a struggle. It was the audience overstaying their welcome with a group that was destined to fail if too much time was dedicated to them in this situation. No matter what, Michael was still the main focus so everything else became a casualty in-between his backstory. Speaking of Michael, were we really supposed to take the scene where he cradles the robot remains of Mead seriously? It was next level ridiculous, and it served as a wonderful reminder of how much time got wasted explaining her presence as a second version of a confidant for Michael. Mead being introduced again at the end of the finale would have just as much impact if Michael left her memory alone when she died at the hand of the witches. It progressed nothing for anyone else, except maybe Michael who was smart in so many ways and so naive when it came to trusting a metal recreation of an actual person that he cared for. Regardless, the Mead robot dying signified Michael's story coming to an end as well. And once again, it is somewhat strange that a being that couldn't be destroyed for episodes on end suddenly had a fast-paced showdown in a matter of half an hour or so. There needed to be a way to defeat him, but the slow pace that the realization appeared for everyone made it insignificant. It was a stark difference to the threat that Michael presented, and how weak he became at the end of it all. Even him killing everyone held no weight anymore. Michael was definitely the star of the season, which is where rewinding on his existence makes everything come off as more useless. Investing ten episodes into a character that is an offspring of a fan favorite villain was always meant to be a conversation starter. And yet in a little less infuriating way than the "it was all a dream" twist, Michael was killed off from his own timeline. Constance removed him from existence by banishing him and allowing Mallory to do the rest. So his "tragic end" also raised the question of worth. Why make an audience tune in week after week to learn about a character who eventually doesn't exist anymore? Could that be considered a waste as well, letting us think there was value in Michael's story that was all no longer as necessary when suddenly anyone could take his place? Michael is gone but there are plenty of other children that could be around and willing to kill those around them. How much worth did Michael really end up having? That final ending shot directly paralleling American Horror Story Season 1 Episode 12 was well thought out, and it left the audience with a new sense of understanding. 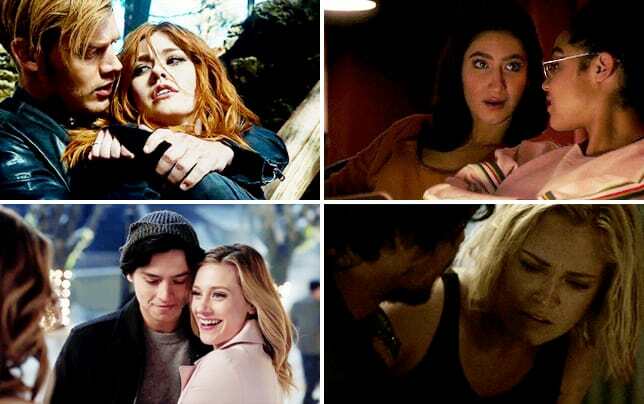 But after wasting a whole season going back and forth between the end and the possible beginning of the apocalypse, trying to find interest in another Antichrist isn't as simple. Michael was attention-grabbing because of his history with the show and with arguably the general favorite season of the series. Timothy and Emily felt shoved down our throats at the beginning of the season, so their quicked love story destined for destruction at the hands of their son just doesn't hold up. On a basic level, there is that concern that the end of the world wasn't prevented, in fact, it seems like it will be a never-ending cycle of trying to stop one connection to Satan and that never actually working. If evil is meant to manifest it will no matter what. One host may have been removed from the current timeline, but destruction will find another vessel and another way to deliver the exact same conclusion. And yet after spending this time hoping for answers and an organized approach to telling this story, the idea of it repeating again isn't inviting. Obviously, next season won't be the apocalypse with a new kid, which begs the question what was this all for? Telling a story of utter destruction can be fascinating, especially when it is saying something about the state of our world. But at what point is pulling the rewind, rinse, and repeat button become more of a threat to the show instead of helping it make your point? What did you think of the finale? Did it deliver everything you were hoping for? Were your questions answered? What about your thoughts on the season as a whole? Now that you saw the whole picture, was the journey worth the destination? What do you think the season might have benefitted from? What did you think of that ending? 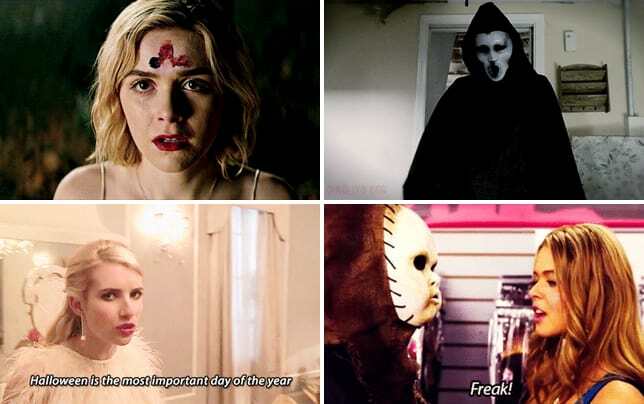 And what are you hoping is the focus for the next season of American Horror Story? And don't forget that you can watch American Horror Story online, right here at TV Fanatic!